There’s a reason they’re called our golden years! Retirement is when the stress of work finally melts away and you’re left with the freedom to pursue your passions. While retirement is one of life’s most fulfilling stages, it’s easy to get caught up in negative talk about growing older. Sometimes, we need a little reminder of why the golden years are so incredible! Below are a few of Friendship at Home’s favorite perks that come with retirement. 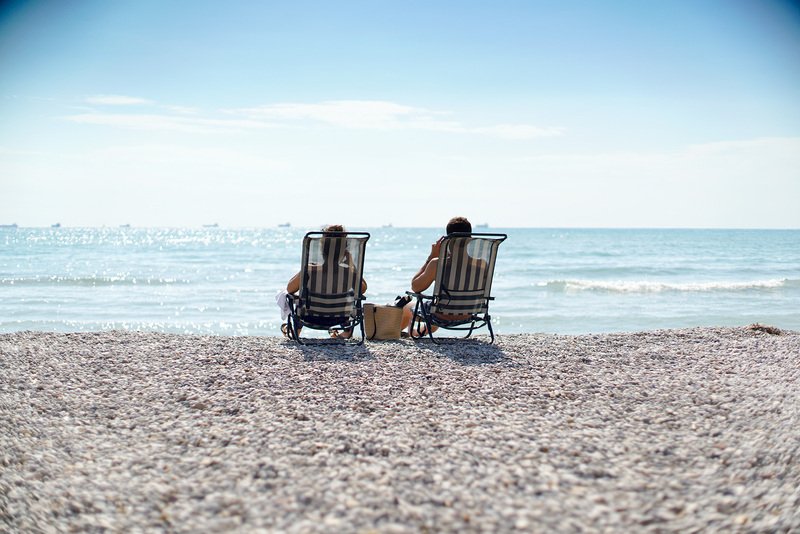 After spending the last few decades working 9 to 5, your retirement is your opportunity to do whatever you want— whenever you want. You can sleep in or spend all day on the golf course without worrying about what’s going on at the office. Raising kids is one of life’s greatest adventures, but having grandkids is one of life’s greatest treats. You can love them unconditionally and spoil them with fun trips and extra candy; then, send them home with their parents after a day of laughter and fun. Retirement is when your hobbies can take center stage. It’s the time to sign up for an art class, take up rock climbing, practice yoga and expand your horizons. Studies have shown hobbies are associated with increased mood, well-being and cardiovascular health! With age comes wisdom. As your working life comes to an end and your retirement begins, you’ll be able to reflect on all the knowledge you’ve learned along the way. This may be why some studies have found that retirees are the happiest of all age groups. Let’s be honest: nothing feels quite as good as a great deal. Retirees can find all kinds of discounts if you know where to look and who to ask. Here is a list of some of our region’s best age-friendly discounts. The freedom of retirement means you can travel to exotic places and make unforgettable memories stress-free. You don’t have to worry about managing your workload while you’re gone or running out of vacation time. If you’re looking for destination ideas, check out this list of places you need to see in your lifetime. One of the many benefits of retirement is waking up each morning in your own bed with nothing to hold you back. At Friendship at Home, we’re dedicated to helping our members ensure they never have to leave their home — even if their needs change. Our care coordinators are on call to ensure you get quality care whenever you need it, right from the comfort of your own home. If you’re interested in becoming a member, or just want to chat about the benefits of retirement, give us a call at 614-734-2167!